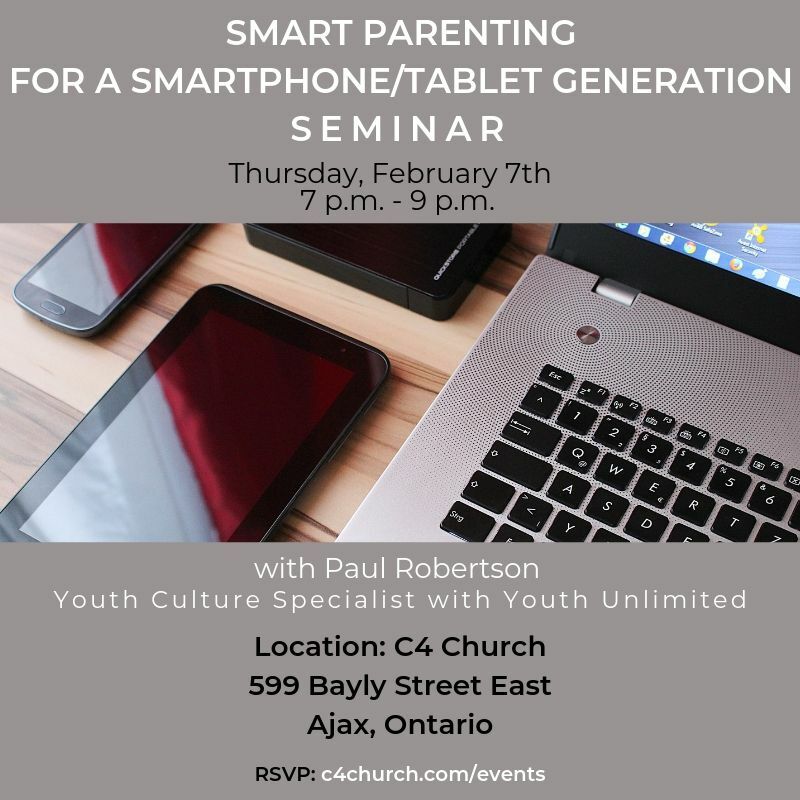 C4 Church will be hosting a seminar called “Smart Parenting for a Smartphone/Tablet Generation” on Thurs, Feb 7th from 7pm to 9pm. The speaker is Paul Robertson, Youth Culture Specialist with Youth Unlimited. The Seminar covers why God never created us, or our children, to live in cyberspace; how persuasive technology is used to addict our kids; how life in cyberspace is different for girls and boys; current trends including mental health issues; and, how parents can help their kids develop healthy tech lives. If you would like to partake in this seminar, please RSVP by clicking here.